The 2015 Top 100 emphasizes how much the wine world has changed since Wine Spectator put together its inaugural honor roll, in 1988. That year, the Top 10 counted three Bordeauxs, four Burgundies, two Italian reds and one California Cabernet. Now, less than three decades later, outstanding wines from almost every corner of the globe compete with these historic leaders for attention. Put simply, it’s a great time to be a wine lover. In addition, our selection also prioritizes quality (based on score), value (based on price) and availability (based on the number of cases either made or imported into the United States). These criteria were applied to the more than 5,700 wines that rated outstanding (90 points or higher on Wine Spectator’s 100-point scale) this year to determine our Top 100 of 2015. Overall, the average score and average price are the same as in 2014’s Top 100: 93 points and $47—an excellent quality-to-price ratio. Many wines on the list are made in limited quantities, a reflection of the greater wine world. As such, our Top 100 is not a “shopping list,” but rather a guide to wineries to watch in the coming months and years. The selections reflect the producers and wines our editors were particularly passionate about in 2015. 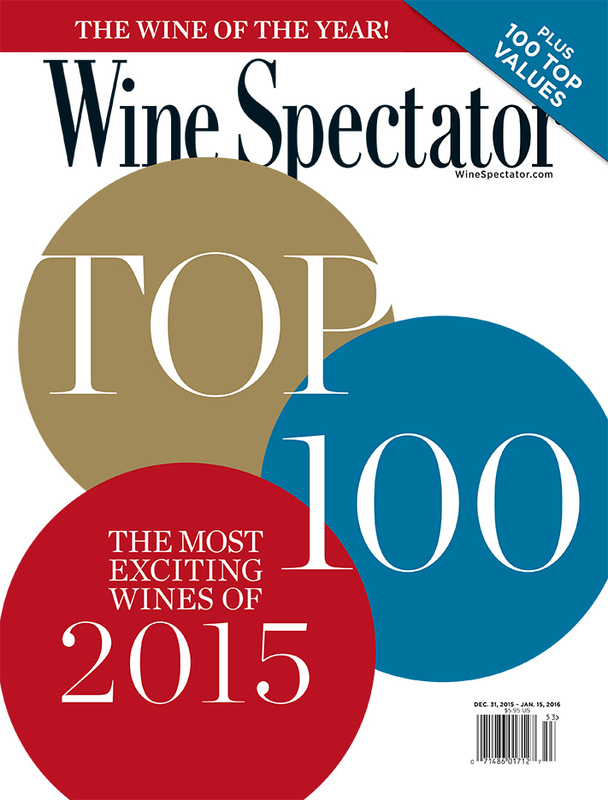 We hope you enjoy the exciting list of fine values, rising stars and historic producers that populate Wine Spectator’s 2015 Top 100.